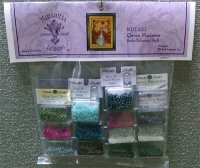 Hardanger : Julies Cross Stitch, Stitching and Needlework Supplies - Fabric-Patterns-Kits-Threads, Affordable Shipping! We have several Hardanger patterns and kits to choose from. Please read the descriptions for each for shipping times. To find Hardanger fabric, please see our fabric section. 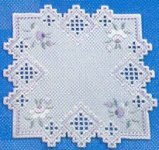 Hardanger is a combination of a few types of stitches. 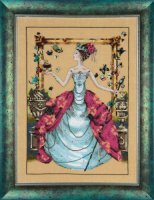 Embroidery, satin stitch, drawn work, cut work, white work, needle weaving, etc. Hardanger Kits and Patterns take 2-3 weeks to ship.